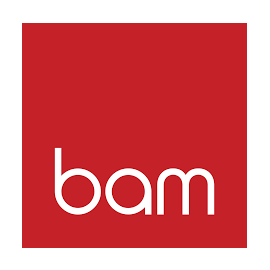 BAM Strategy is looking for a Digital Media Planner in Montréal, Canada. If you meet the requirements below, you will be eligible to apply via Digital Marketing Community. Associate in the development of media plans and media plan proposals for clients showcasing KPIs to determine success for B2C, B2B, CPG brands. Study and recommend media placement options for media programs, including but not limited to paid search (PPC), social advertising (Facebook, Instagram, LinkedIn), online video (including YouTube), programmatic, retargeting. Design creative requirements for execution and share with the creative team. Collect campaign elements for set-up (banners, tracking, etc). Improve text ads as required. Engage with partner firms (e.g. Google). Oversee campaign performance on a daily basis. Promote and implement optimization strategies to improve the performance of campaigns. Gather required data for campaign and project reports, including metrics such as CPM, CPC, CTR, CPA, ROI. Grow ongoing reporting of media campaign performance. Produce insights into and recommended action items based on campaign performance. Join in the development of best practice guidelines for related service offers. Propose innovative service offerings within the realm of digital advertising. Propose innovative optimization strategies for client campaigns. Recognize tools to facilitate optimization measures. Aid with the completion of general departmental tasks, as required. University degree or college diploma in related field. Effective experience in the field of digital media planning and/or search marketing (2 plus years). Expert knowledge of Google AdWords (ideally Google AdWords certified). Deep knowledge of Programmatic, Facebook Business Manager, LinkedIn and Twitter advertising tools. Demonstarted understanding of Analytics tools (specifically Google Analytics), including setting up of UTM tagging, dashboards and data extraction for reporting. Proficient experience in Google Drive (Google Docs, Google Sheets, Google Slides). Sound written and oral communication skills in both English and French. Strong skills in Google Apps (specifically Spreadsheet and Presentation). Bilingual – English and French. Great interest in online media, search marketing and social media. Great interpersonal and decision-making skills. Ambitious, outgoing and a team player. Ability to deal with stress, pressure and tight deadlines.